This is for all the cold-fearing, snow-dreading, procrastinating, adventure-seeking, stay-inside-all-weekend-despite-being-bored-type students out there that are looking for a way to enjoy their weekends. WINTER IS NOT THAT BAD! In fact, I’d argue that there is a lot of fun to be had outdoors in the winter time. Aside from the great activities offered within the city (like skating at the waterfront), there are tons of adventurous nature spots to explore around Hamilton that surprisingly still exist in the winter. I’ll start by saying that winter exploring should not be taken too lightly. Of course, I believe that anyone can spend time outside at almost any time, but that goes with certain precautions. Primarily, I’m talking about dressing for the weather. I can say from experience that the -20 degree weather (plus windchill) isn’t actually that bad if you bundle up with many layers (sweat-wicking underlayers & long johns, warm pants and sweaters, good winter coat, scarf, hat, mittens, a warm and waterproof pair of grippy boots, and wool socks…even eye protection can be helpful). Sure, you may turn out something like Randy from “A Christmas Story”, but at least you’ll be warm! Now, once adequately prepared, it’s time to remember that Hamilton is full of great places to hike, climb, snowshoe, or just appreciate nature. You can check out the Hamilton Waterfalls website to find out about some good walking routes around Hamilton’s best waterfalls. Alternatively, you can use Google Maps to craft your own route on the Bruce Trail, through Dundas Valley Conservation Area, around Cootes Paradise, and more. There are a ton of opportunities to explore the trails in the winter. You may be wondering what kind of crazy person would trudge their own path through a foot of snow on a freezing cold day, but I can tell you as a fact that there are people who do it! 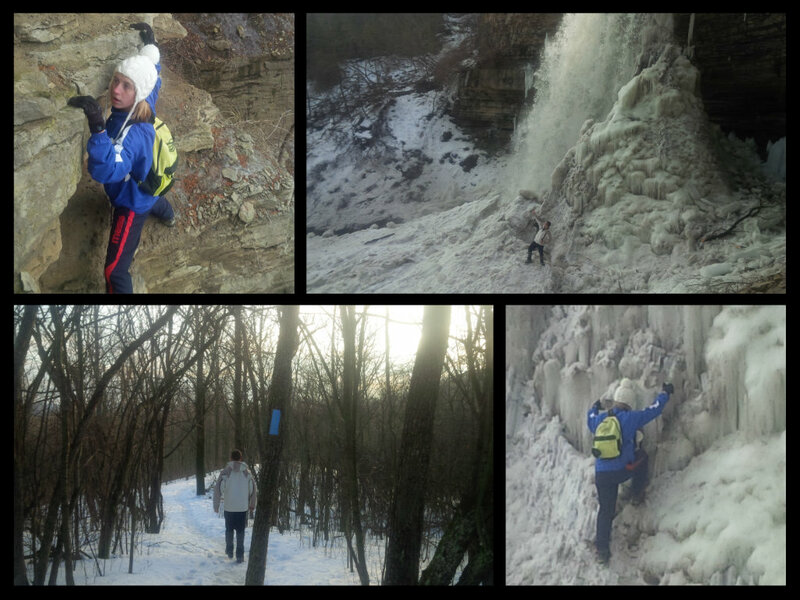 Climbing across a rock face, pseudo ice climbing, and a nice walk on a beautiful afternoon. 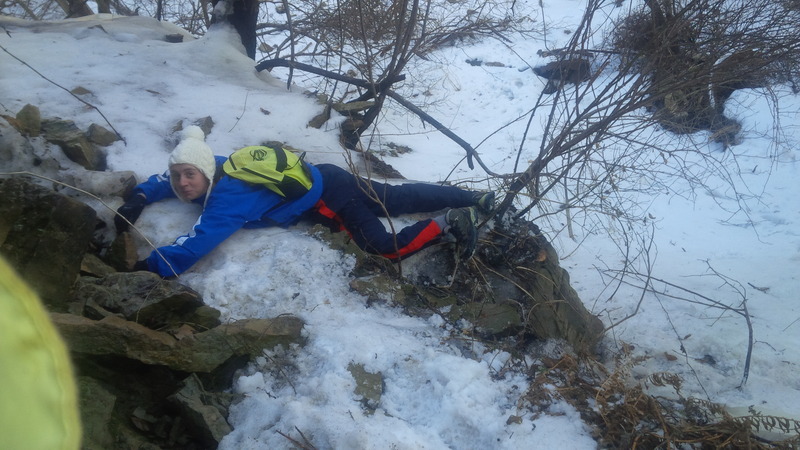 Just as a warning…things don’t always go as planned (this is me attempting to climb back down from somewhere I couldn’t get up). ← The Juno Awards are Coming to the Hammer!